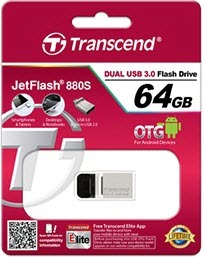 Transcend JetFlash 880 Online Recovery Tool can reformat and repair jetflash 880 usb flash disk .JetFlash Online Recovery v1.0.0.48 can remove write protected error and format issues . Transcend JetFlash 880 Online Recovery is a repair tool specifically developed for Transcend JetFlash USB flash drives. In an attempt to repair your flash drive when it is no longer recognized by PCs or not working properly, the Transcend JetFlash Online Recovery v1.0.0.48 provides the initial help by restoring your flash drive to its factory default settings. Transcend JetFlash 880 Online Recovery Tool support repairing the following chip part numbers " TS16GJF880S ,TS32GJF880S ,TS64GJF880S "
How to repair Jetflash 880 usb flash drive ? Download Transcend JetFlash Online Recovery v1.0.0.48.zip from links below . Plug in your JetFlash 880 USB flash drive. Run JetFlash Online Recovery v1.0.0.48 software. Wait for repair to complete.